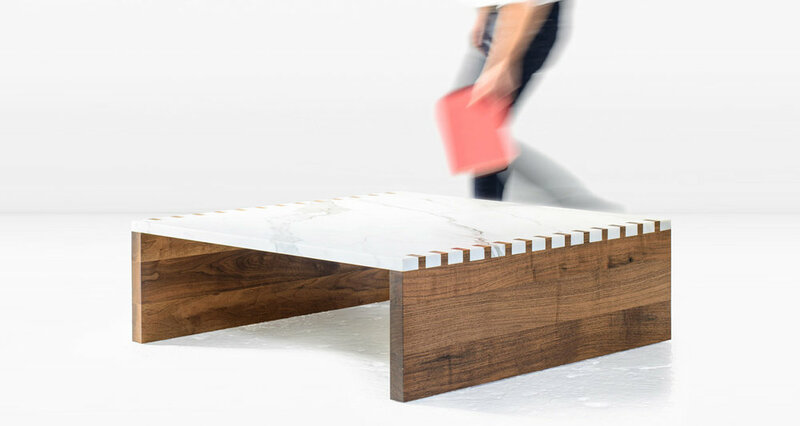 The incongruous marrying of Calacatta marble to wood in the Zaragosa coffee table's box joint detail makes this a powerful statement piece. Shown in American Black Walnut. Also available in Fumed White Oak.